Compute Malmquist productivity indices and their decomposition into boundary shift and efficiency catch-up. 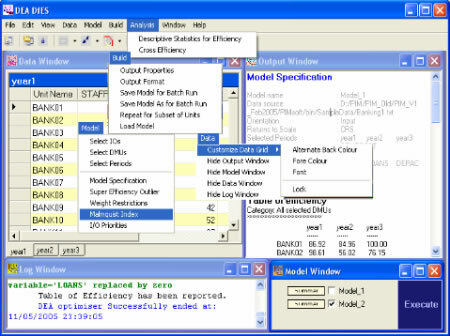 Multiple DEA models can be set up, involving different input/outputs from a global data set to be executed in batch mode. 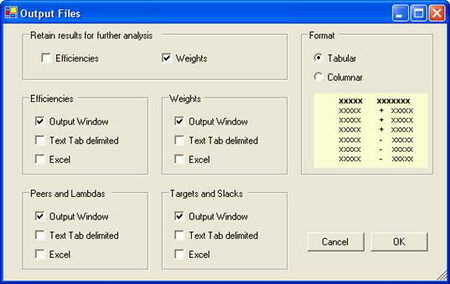 Can be for a selected unit or for all units.